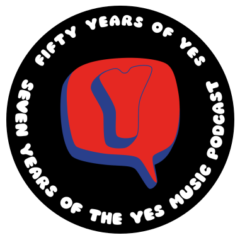 The Yes album was the album that started my Yes listing off it was nothing like I had ever heard.. I was amazed at how at the end of this track Mr. Howe’s guitar lick was just amazing never had I ever heard a lick like that and I new at that moment that Yes was it for me! Just amazing and to know that they are still able to do it all these years later well again just amazing! Thanks so much Paul. I was always fascinated by A Venture and how it fades out. The more I hear The Yes Album the more I appreciate its brilliance. It was the highlight of the concert for me which surprised me! Another great couple of episodes. I was interested to hear your opinion on this, as you might remember I got the Blu-Ray of this a day early here in Canada and was in fill listening mode that night. And posting pics and still shots on your twitter account. As for me I’ve recently watched it again and still find the same pro’s and con’s. I love the audio mix of this show, having both this and the Dvd version, it vastly better quality as is the picture. The performances are great especially by Jon Davison, Steve Howe and Chris Squire. I do find Geoff ‘ s playing a little shakey in parts, especially in Awaken. He seems to take a few short cuts and Alan White seems tired in this performance, of course I can’t expect a Yessongs type energy level at this point in his life but I do think he is slowing down a little too much in the songs. Just my opinion. And of course the main point of disappointment is the lack of Close to the Edge. Looking forward to next week, oh and thanks for reading my reviews on the show. I’m almost done a few more for you. Take care. Thanks Mark. Interestingly I find watching Awaken more difficult than listening to it. Not sure why… Keep the reviews coming! Hi Kevin: Not sure why, but a rather lengthy comment on the “Like It Is” shows, 176 -177 have gone missing. I’m not going to be able to re-create it, but the gist was, that I really enjoyed your shows on this new live album, and I share your enjoyment of it. 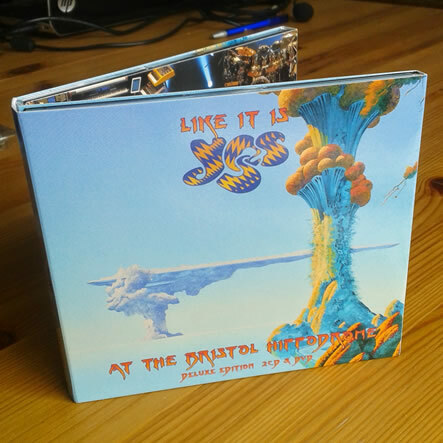 I like the Going for the One Material just slightly more than the Yes Album material. But in both instances, I love the show. I went to the 3 album show here in Vegas, and it was wonderful. We got Close to the Edge, The Yes Album and Going for the One. All wore done in a faithful, yet fresh and exciting way, and I believe Like It Is captures this remarkably well. Like Paul above, The Yes Album was the first album by Yes that I heard all the way through. This would have been toward the end of 1971. A friend who knew me, and my tastes, played it for me. I had been moping for a year or so about the Beatles breakup, and while All Things Must Pass, RAM, and Imagine came close to easing the pain, I didn’t have a band anymore. The Beatles had marked off important moments of my life as the background music for my life thus far. I had heard Yes. I’d heard Time and Word (the song), and I’ve Seen All Good People. I think Roundabout may have been getting a little play, but not sure if “Fragile” was already released or not. But hearing the whole of the Yes album in one sitting did it for me. I knew that this was going to be my new Beatles almost instantly. I think the next day, or shortly thereafter, I pulled together whatever meager money I had from mowing lawns and such, and went to the record shop. I got The Yes Album, and was listening to it all the time. By the end of the next year, Fragile, Close to the Edge and Yessongs all became available (72′). I hoped these guys would never break up. The reason I bring all this up, is that when I got Like It Is, and was watching the DVD disk with my wife. All this came flooding back to me. As a music fan, it’s just so wonderful that this band I fell in love with back on that evening in 1971 was playing in my living room, right there on the flat screen with perfect digital stereo…..energetic…..and live in 2015. Here it is 44 years later, and a part of me is still that teenage boy, listening to the Yes album from start to finish, and falling in love with this music, yet again, as if it was the first time I’d heard it. What a joy to be a Yes fan. This is the best live album they’ve put out in a while, and it truly captures the essence of the show. Thanks so much for all this, Steve. It’s great to hear you enjoyed the DVD as much as me and to find out about your own Yes story. Like you, I love the fact that my favourite band are still here, very much able to create wonderful, deeply affecting music. As I said in my audio commentary, this release makes be desperate to see Yes live again!